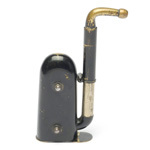 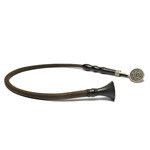 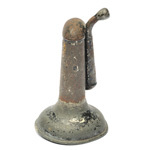 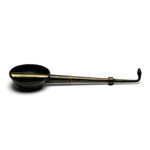 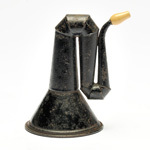 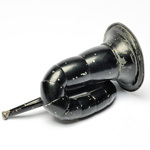 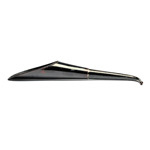 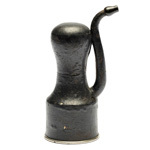 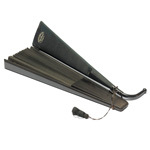 seller note A c. 1880 antique ear trumpet made of tin with a black and gold tone finish. 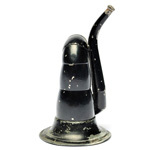 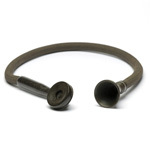 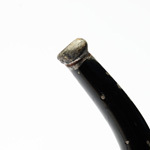 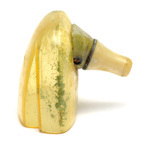 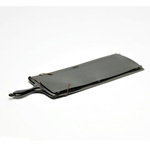 The body of the ear horn is a series of soldered doughnut-shaped segments. 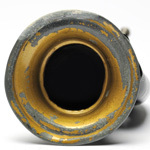 The bulbous segments were designed to further amplify sound. 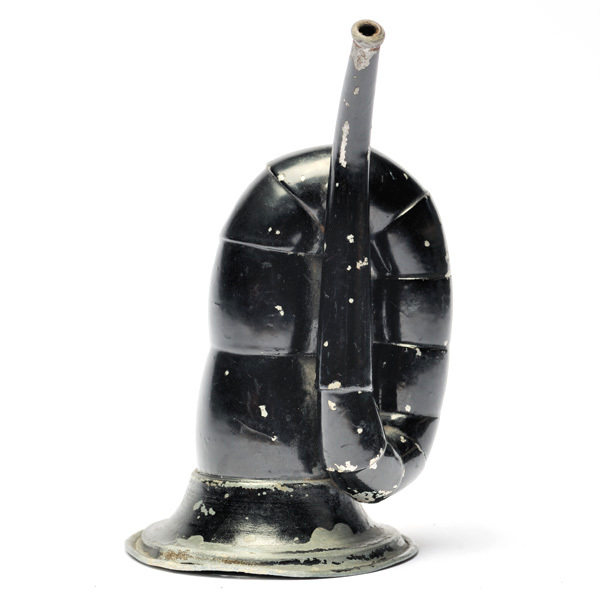 This type of antique hearing device is identified as a Corrugated Ear Trumpet in the George Tiemann 1889 catalogue, p. 189, fig. 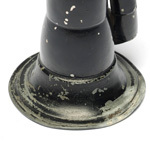 2034.